People's Movement Against Port City Conduct to launch a book on Port City in the name of "Port City: Aththa Naththa". at Galle Face Green Construction Site. 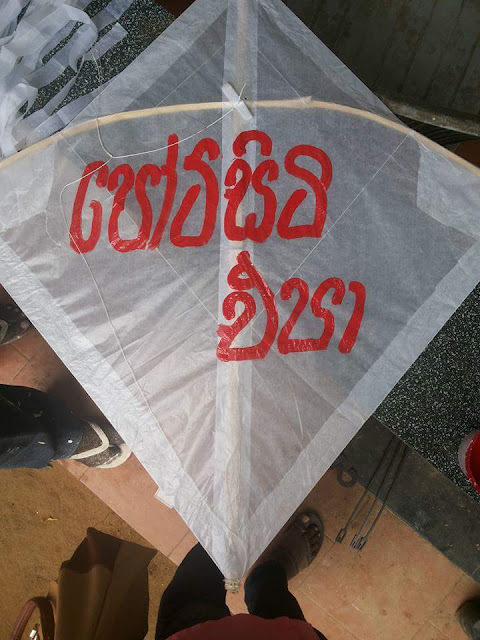 Campaign against the port city flying kites marked “No Port City” and launching the booklet of “Truth and Myth of the Port City "
The Port City project which was started in the regime of Mahinda Jajapaksha in 2014 is being constructed creating impacts in different ways for the fishers, environment, culture and economic in the country. 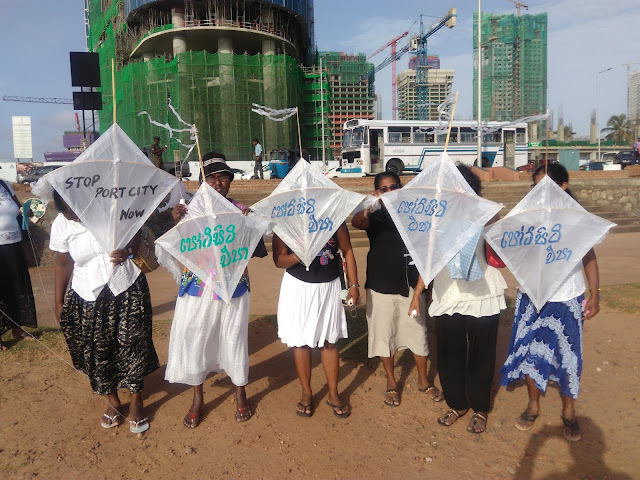 According to the influence of the port city construction, the effected people were organized under the name of “People’s Movement Against Port City” in Negombo. Various actions have been taken by the People’s Movement Against Port City toward to stop the construction of the port city . 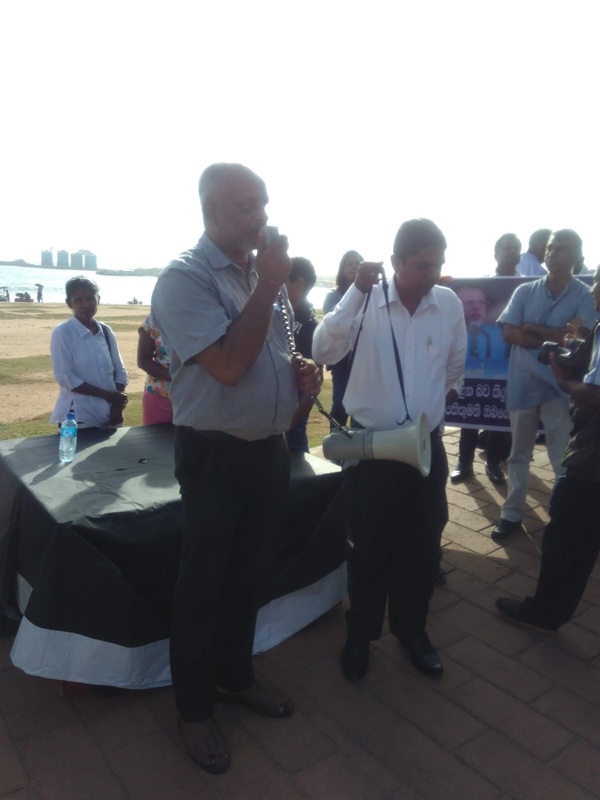 The booklet was launched comparatively with the protest against the port city at the Gold Face Ground in Colombo on 17th of July 2018. 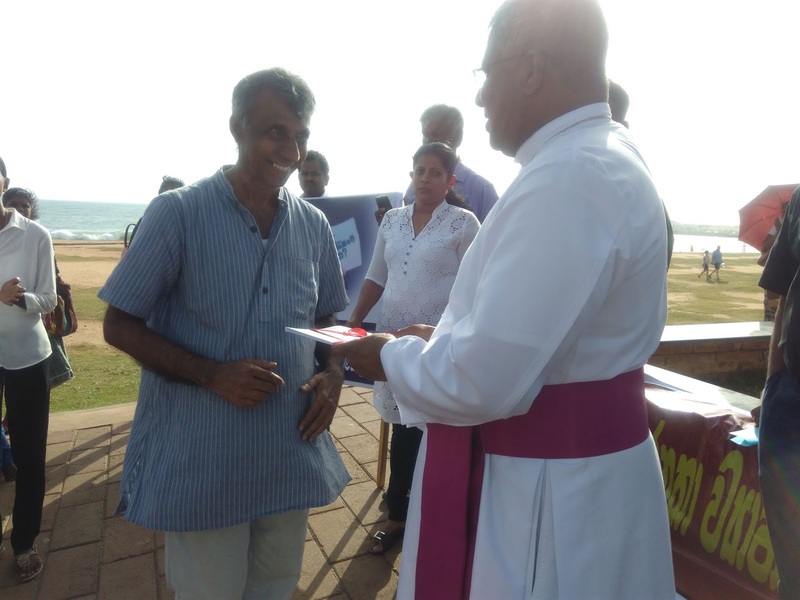 There were some people’s actions in the campaign against the port city. 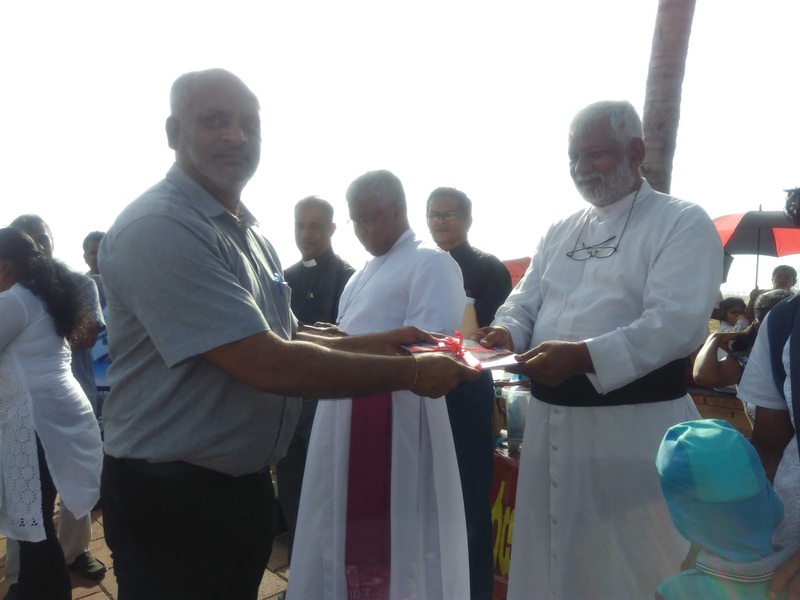 Members of the civil organizations such as women, fishers, farmers and trade unions, religious leaders, professionals and general public participated in the campaign. 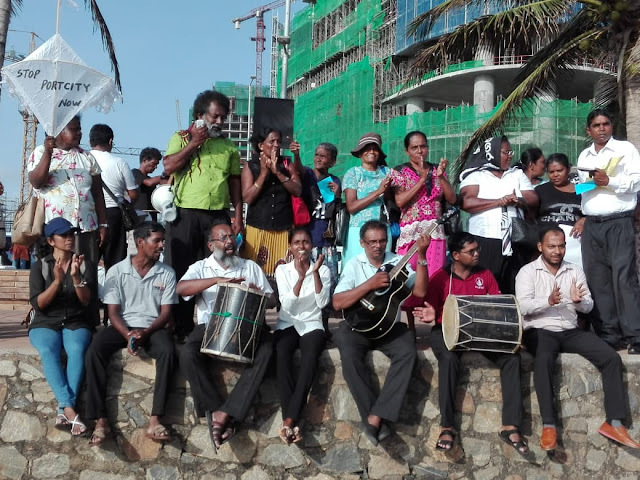 The strugglers protested against the port city construction saying the slogans showing their objection at the Gold Face in Colombo. 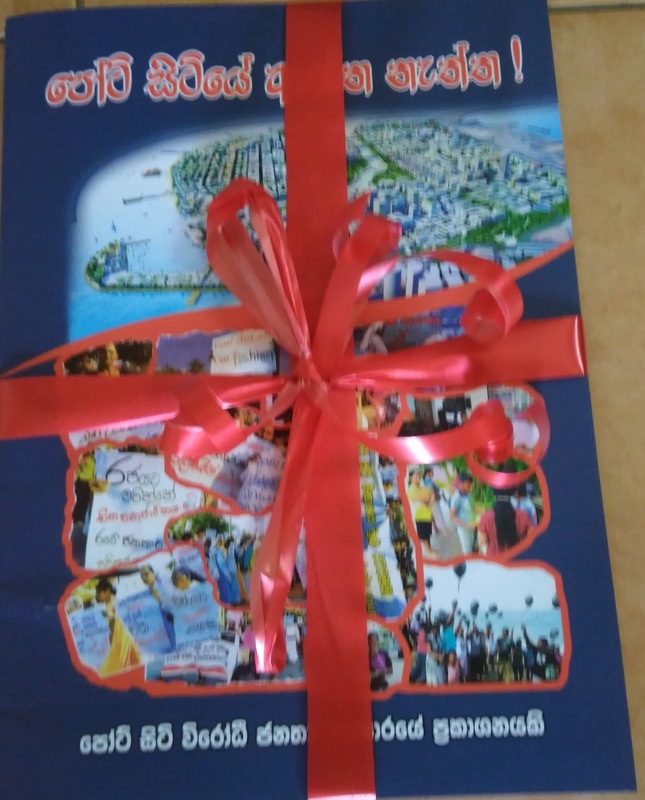 The booklet of Truth and Myth of the Port City was launched after the protest.